The Oklahoma state legislature has an initial amount of 7.3 billion dollars in their Fiscal Year 2020 Budget. 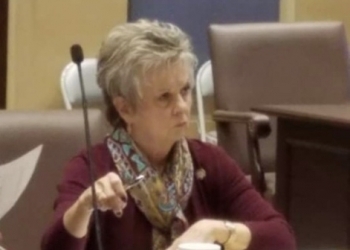 Bartlesville’s Senator Julie Daniels says the state legislature will only be able to appropriate 95-percent of that initial 7.3 billion dollars. She also says the Equalization Board won’t confirm that number until mid-February. Agencies are still getting their appropriation requests to the state legislature. Daniels says they can't do anything with the budget until all requests are in. Daniels is the vice chair of an appropriation committee regarding judiciary and public safety issues. That means she has to look at how the budget should fund public safety and the judiciary. Daniels says the Oklahoma state legislature is preparing and chipping away at what they might be able to do with the Fiscal Year 2020 Budget when it’s set in stone.